At the last annual National Alliance on Mental Illness (NAMI) conference a controversial speaker, Robert Whitaker, was invited to talk about psychiatric drug use in treating serious mental illness (SMI). Mr. Whitaker is not a doctor but has won journalistic awards primarily in the areas of medicine, science, and history. He receives a lot of traction when he advocates treating mental illness without medication and cites studies to back up his claims. His NAMI lecture focused on dangers of current drug protocols and methodologies that are standard in psychiatric care. Among other disturbing ideas, he cited studies indicating brain shrinkage from long-term psychiatric drug use, and that patients who never start on drug therapies have a better long-term outcome than those on medications. Mr. Whitaker advocates “selective use” of psychiatric drugs, and a reevaluation of drug treatment efficacy for children, claiming a link between drugs used to treat ADHD and a higher rate of pediatric bipolar disorder. In the audience that day was a twenty-two year old man diagnosed with schizophrenia. That same day, the young man quit his medications. Cold turkey. His mother wrote to journalist Pete Earley, a mental health advocate, author, and father of a son living with schizophrenia, who then posted her email on his blog (http://www.peteearley.com). “Angry Mom,” as she named herself, blames NAMI and Mr. Whitaker if anything happens to her son because she knows how sick her son is and that nothing good happens when he’s off his meds. There will be “blood on their hands,” she says. Hearing Mr. Whitaker question drug therapy makes most of us who have a loved one living with a serious mental illness (SMI) cringe. I mean a full-body Cringe. Not because we love drug companies or are close-minded. In fact, much of what he says makes a certain amount of sense and could be helpful toward treating SMI patients in the future. But saying it out loud is lethally dangerous. “Angry Mom” knows a lot about her son’s condition and if she says he needs medication, I’d believe her. Nothing like a stranger coming in and introducing an idea that undoes all the work she’s put into getting him to stay on meds, and not just to be functional, but alive. One parent /contributor to Behind The Wall: The True Story of Mental Illness as Told by Parents claims she will never again question her son’s doctors about his meds in his presence. By merely asking his doctor, “Can’t he get off some of these?” her son, not seeing that she was exploring the idea, went off all of them, cold turkey. Weeks later, he became psychotic, landed in jail, and often couldn’t recognize her. She blames herself for questioning the drug cocktail in front of him. Another contributor put it this way: the drugs are awful and why wouldn’t a person want any chance to go off of them? No one can dispute that side effects of psychiatric drugs are horrible: excessive weight gain, tremors, loss of appetite. One contributor to Behind The Wall said her son went (temporarily) blind from one drug. Another put him at risk for a heart attack. Another drug doctors continually recommend could kill him. It often takes several weeks to get a drug cocktail correct, then that too can change. But there’s a trade off. Catherine’s son, Philip, was diagnosed with schizoaffective disorder. But Philip’s father didn’t support drug treatment and his psychosis persisted on less effective medication. Eventually, while alone, and not monitored to ensure he took his medications, Philip committed suicide at age nineteen. Drug therapy would have prevented these devastating outcomes. Mr. Whitaker’s drug-reduction advocacy is not meant to harm. Any parent would insist on reducing the drug load for their child living with SMI if they could stay well without them. And we won’t discuss medicating pediatrics here, except to say, it’s never an easy decision. But some of Mr. Whitaker’s claims ignore other studies that provide at least partial explanation, for example, as to why recovery rates for SMI are reportedly higher in some third world countries. Countering his suggestion that the cause for lower recovery rates is because of over prescribing, we can look Tanya Marie Luhrmann’s essay, Beyond the Brain, from last year’s The Wilson Quarterly* cited in our post, “Society’s Way or Best Way,” regarding societal structure and community impact on MI. ** Stress and isolation play a big part. Mr. Whitaker also cites a study showing mentally ill patients who are not on drug therapies do better in the long run. 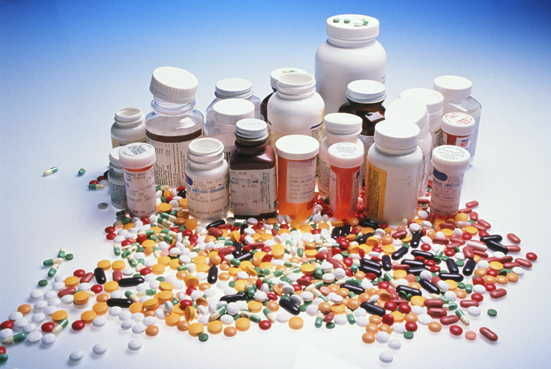 There are many SMI patients who, without medication put themselves in grave danger. If a patient isn’t so psychotic or manic that they can stay safe without medication, then yes, one can see they will be the ones who do better in the long run. That is NOT the kind of patient Mr. Whitaker means to be speaking about. But that’s not what that twenty-two year old heard. If our society could develop deeper compassion for people living with brain illnesses, reduce stress caused by our societal structure, and put our loved ones who live with SMI in a safe environment for a year or two— time for their brain to cool, maybe we could begin to have this ideal treatment methodology Mr. Whitaker proposes. Mr. Whitaker offers a hope for a tolerable treatment for SMI that we, a supposedly humane society should strive to realize. What Mr. Whitaker never offers, is an apology. Because he’s giving out an idea that many SMI patients simply cannot have. At least not now. But that is not what that twenty-two year old heard. Research and evolving brain studies do offer hope for non-drug and selective drug therapies for SMI. And a broad range of seemingly worthy studies identifies the multiplicity of factors contributing to SMI and to recovery— factors that are varied, complicated, and unique to each individual. No one’s mental illness is like the other, nor is their recovery. And for parents trying to keep their adult child living with SMI healthy and alive, they want to stay with what’s working. Complicated, varied, and irrational. That’s what mental illness is. Maybe we cringe because it all sounds too good to be true. No drugs? Please don’t tease us, Mr. Whitaker. Don’t even tell us until hope really is here. As always, we are interested in your thoughts. Advice From The Most Heroic Parents We Know: Put Your Mask On First. This is what you do in an emergency: take care of your primary needs so you can help others who aren’t as capable. 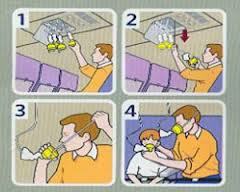 Put your oxygen mask on before helping your child. The concept seems contrary to what we know as parents. For many, parenting can be defined as a willingness to sacrifice everything to benefit your offspring. Save the child first! But rationally, how can you save your child if you’ve passed out? Such is the advice from the most heroic parents I have ever encountered. 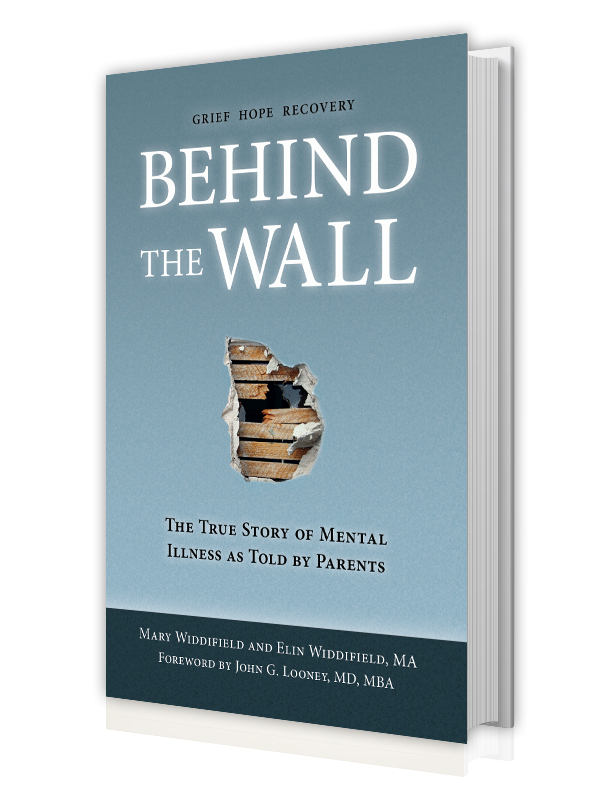 These parents have children diagnosed with serious mental illness and provided the stories for our collection entitled, Behind The Wall: The True Story of Mental Illness as Told by Parents. The analogy to “save oneself first” gets much play, but hearing this advice from parents of high need children (nearing adulthood or young adults) who weather unpredictable events layers an authentic sheen to the concept. Their advice to take care of oneself so you can be present for your child is fundamental for all parents. Dan (no real names used), a father of a daughter who lives with schizophrenia, advises to avoid making your child’s needs (or illness) the sole focus of your life. Of course, when a child is in crisis and/or going through a complicated process toward finding effective treatment, a parent needs (and wants) to be all in. But when the crisis lifts, Dan enjoys a hobby, riding his motorcycle. Sometimes Dan must put aside his needs to address his daughter’s, but when possible, he’s riding. He insists his hobbies, in turn, benefit his daughter. Says Dan, “Because if the child starts feeling like everything is about them and what they’re going through and their problem, you end up with guilt and a sense of responsibility and that’s not positive.” If a parent doesn’t live his own life, it can send a message to their child that they are incompetent, that there is no hope, no expectation that they can function on their own. And they won’t. And this goes for all parent-child dynamics. For parents of high-need children approaching adulthood, there are often difficult logistical decisions to be made, the result of which impacts the whole family. In our recent blog, Society’s Way or Best Way, we wrote about ignoring societal pressure to “launch” a child, or make him live on his own before he is ready. A person living with mental illness requires time for the brain to heal after a psychotic episode or while recovering from severe depression, for example. After publishing our post, one of our contributors astutely commented that there are times when having a person with mental illness live in your home is disruptive to family members—the marriage, other siblings—and in those cases group homes are a best option. Parents sometimes feel guilty about admitting that when their child is in a treatment facility—hospital or group home—that their own home is calm and other family members are happier. It may appear to outsiders that sending a family member “away” is cruel, or selfish. It is never an easy decision to send a child away though ometimes doing so best serves the family’s well being. Aside from hobbies, other parents cited that getting away for a weekend when possible, yoga, or even going out with friends was rejuvenating. Dan’s wife, Rebecca, spends time with friends. Maika, whose son Riley lives with schizoaffective disorder, walks her dogs. Sometimes her son’s behaviors, like binge drinking or deciding to go off medication, make her furious so she screams into pillows. Our contributors often recommended seeking therapy to cope with a challenging parenting journey —simply having a person with whom they can talk without being judged. Most all of our contributors suggested support groups through organizations such as AL-ANON (Alcoholics Anonymous, http://www.al-anon.org/) or NAMI (National Alliance on Mental Illness: http://www.nami.org/). NAMI reports studies that show sharing one’s story and hearing others tell of similar experiences helps one feel less isolated. Simply, knowing you are not alone with whatever challenges you face is psychologically beneficial. That is the magic of support groups, and perhaps that is why at the completion of nearly every one of our interviews contributors commented they felt better by sharing their whole story. We often heard, “Whew! 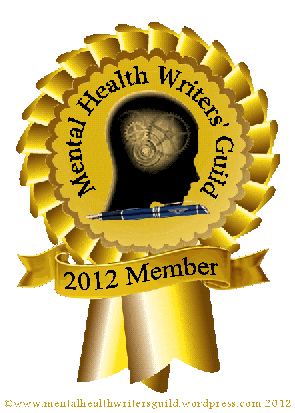 That felt good,” to finally unload the long and courageous journey of parenting a child living with mental illness. The act of sharing, and, potentially helping others was healing. Meanwhile, there we sat, in awe. Whatever your method, put your mask on first. As always, we love to hear from our reader / followers. Mental Illness and the Medical Industrial Complex: parent / advocates can be a doctor’s best resource and yet are often undervalued. Proper treatment—talk therapy and appropriate medication—can save the life of a person with mental illness. 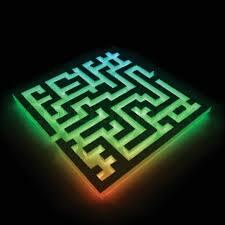 Often it is a parent/ advocate driving toward that ultimate goal, one met with a myriad of obstacles. Every parent interviewed for our Behind The Wall project had at least one, if not several, hideous experiences with the “medical industrial complex.” We use this term to illustrate the oftentimes bureaucratic, impractical, impersonal, demoralizing system for patients with mental illness and their families. Our last post, Just Another Friday Night in Lock-Down is the story of one parent’s emergency room experience with her son. Most common problems parents cite were caused by a general “one-size-fits-all” approach and more specifically, doctors who did not value the medical histories and insight parent/advocates could provide, health insurance policies that limit care or end treatment prematurely, obscenely long wait times in emergency rooms, a dearth of available, quality in-patient treatment facilities, and medical professionals who are poorly trained or administered medications inappropriate for a particular individual. Perhaps the most galling of all are restrictions framed by HIPAA laws, which were designed to guard patient privacy but in reality, excludes caregivers from direct information interchange with medical professionals despite their unique and experienced knowledge of the patient. An individual living with mental illness usually has a long history of trial and error therapies. Contributor/parents to the Behind The Wall story collection have learned to adhere to a few critical and practical methods in dealing with the medical industrial complex. First, they constantly remind their over-eighteen child to sign the HIPAA waiver when they are in treatment and ask for one if it is not offered in order to allow medical professionals to communicate with a designated adult. Unfortunately, a person experiencing psychosis doesn’t always have practical matters, such as paperwork, top of mind. Second, parents advise, keep medical records of all treatments well-organized and close at hand. Many parents joke about binders filled with medical paperwork lining their shelves, overwhelming their offices. Because of the complex nature of diagnosing mental illness, it is crucial that each medical professional involved understands past treatments and outcomes. While a patient in crisis may present common symptoms, the go-to treatment may be potentially dangerous to some individuals. One such patient, Miguel, who was diagnosed with schizophrenia, has never been able to tolerate a typical therapeutic dosage of most go-to medications. Once he gained fifty pounds in a week. Another time he lost his vision at a nearly full dose. One medication put him at risk for cardiac arrest. Luckily his mother maintains excellent records and researches medication so that when a doctor prescribed Clozaril, a heavy-duty drug known to be potentially legal to a small percentage of individuals, she was able to convince the doctor to find an alternative even though his symptoms were severe. Since Miguel experiences side effects to some degree with every medication, she knew a hard-core drug would be especially risky for Miguel. Kerri’s son, Thomas, was living in a group home that was not her first choice but was decided upon by her insurance. There was no psychiatrist on premises. Instead, a prescribing nurse met once a week with residents to assess drug treatments. While living in the group home, Thomas complained about depression. The nurse prescribed Prozac, a medication that in the past had made Thomas highly agitated. Kerri doggedly tracked down the nurse at her off-site office and informed her of the negative reactions her son experienced when prescribed any SSRI medications and luckily, together, they were able to find an alternative. In these cases, a parent was closely monitoring their child’s treatment and a doctor listened. One can only imagine what happens when there is not an advocate overseeing treatment. Or, in Marie’s case (from last week’s post, Just Another Friday Night in Lock Down) when a doctor ignores a parent’s pleas not to administer a benzodiazepine to her addict son. Dan and Rebecca also closely monitor their daughter, Stella, who was diagnosed with schizophrenia and lives a few hours away from where she attends university. Stella called her parents saying she wasn’t feeling quite right, to which her parents urged her to visit the university health center. Later, Dan and Rebecca received a call from the medical center stating that Stella would be checked into a hospital. “If you don’t do it,” the nurse said, “the university will.” Dan rushed to retrieve his daughter and drove her to an emergency room at a well-respected hospital close to their home. They were ushered into a room with, as Dan describes it, “soft furniture,” where they waited over ten hours and still did not see a psychiatrist. Dan realized that sitting in the dismal waiting room was more damaging and stressful than not seeing a psychiatrist. It was also a Friday, and she wouldn’t have received treatment over the weekend. He took Stella home to rest for a long weekend and she was able to return to school and resume her life. There are many pieces that need to align before a person with mental illness can reach recovery, and having a trusted advocate is an invaluable one. The stigma around mental illness certainly impedes treatment; more troubling is that based on the experiences of our contributors, stigma seems to be perpetuated by the medical industrial complex itself. HIPAA laws are a formidable barrier as well. That a medical professional cannot provide information to the parent/advocate is an obstacle to constructing full-circle treatment where all parties vested in the health of the patient are well-informed. Esme always made a point to contact Jennifer’s therapist to tell her what was really going on at home because she suspected her daughter didn’t always tell the truth in therapy. She would call and say, “I’m just feeding you information…” hoping to increase the efficacy of her daughter’s treatment, but never really sure what was transpiring. After Kerri’s son was placed in a psychiatric hospital, it took two days for her to learn where he was, and when she arrived to visit him, the receptionist would not tell her and her husband where he was. It’s against the law, after all, until he signed the paperwork. A young man who was experiencing psychosis forgot to ask for the paperwork. Imagine.